Create the garden of your dreams - give your plants and flowers unique ways to grow with rose pillars, arbors, staffs, or a birdbath...or have us help you make your idea a reality! Stand apart from your competitors by adding the element of metal. Ornamental metal work complements many basic architectural designs - doors, signs, fences - or "design your own" to fit your customers' wants! Interior or exterior, set yourself apart from the neighbors - gates, railings, plant holders, candle stands, coat racks - whatever you might need to dress up your home! 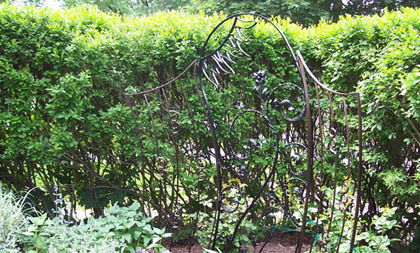 Find made-to-order and stocked metal work like trellises, arbors, railings, fences, sign brackets, flower boxes, and mail box stands. Patrick fabricates hand-made metal work that is artistic yet practical. 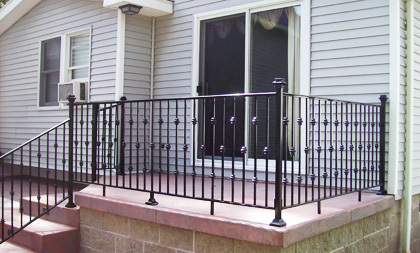 Our products have the look of wrought iron, without the high cost. 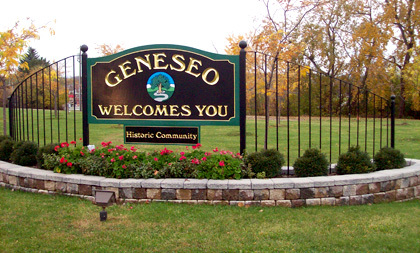 Located at 3664 Route 20A, between Warsaw & East Aurora; Patrick's Projects is convenient to both Buffalo and Rochester.